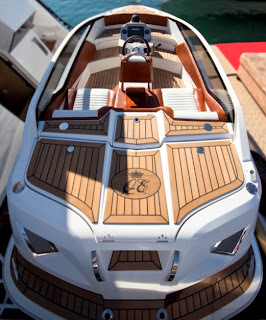 Galeon shows how it can push the limits of customization not only in the smaller models of its range, available in half a dozen of versions outside and inside, but most important in its flagship the 2011 launched 780 Crystal. 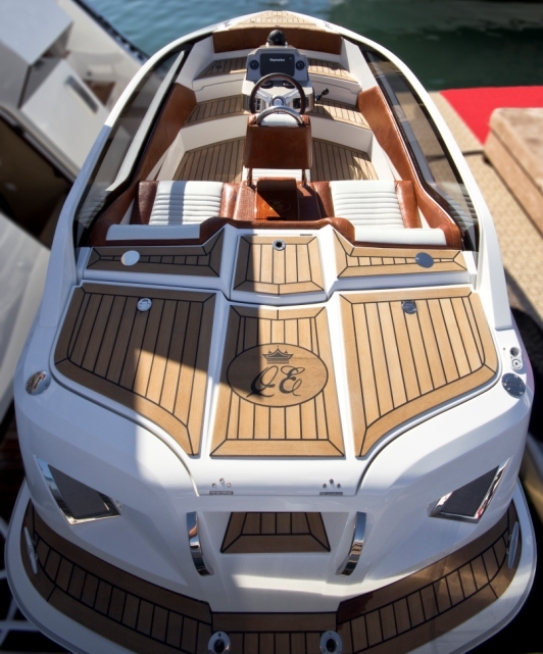 Galeon has completed a unique 780 Crystal; hull number two, with a three person 4.45 meters tender called Baby Crystal specially custom build and designed for its flagship. 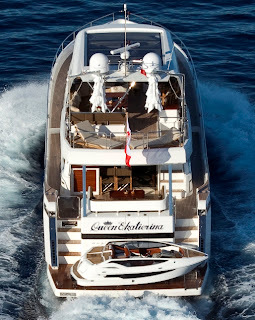 Baby Crystal looks very much a Galeon outside and is also luxuriously outfitted in the same way as the flagship. The 780 Crystal in question was also specially reinforced to accommodate this seven hundred kilograms unique tender. Baby Crystal is fitted with 160hp jet engine, which gives a top speed of 38 knots.